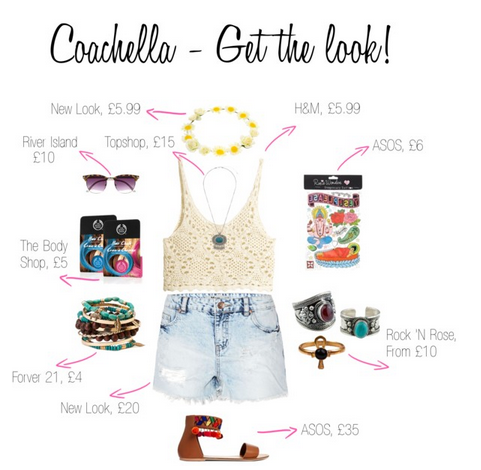 The Style Post #10 Coachella: Get the look! dye, crotchet tops, feathers and body jewels galore. Above you can see my pick of my favourite looks from the weekend! her daisy headband and brown satchel. Her skin tone works like a dream with this and with a washboard stomach like hers it would be rude not to be a bit midriff daring. multi-print kaftan with her beautiful ombre tresses loosely tousled. for the (slightly muddier) festival season here in the UK. I was also lucky enough for this look to be featured in this month’s Style Birmingham! You can check out the link here. Glastonbury…I am ready for you!